Heads up Homeschool Moms! 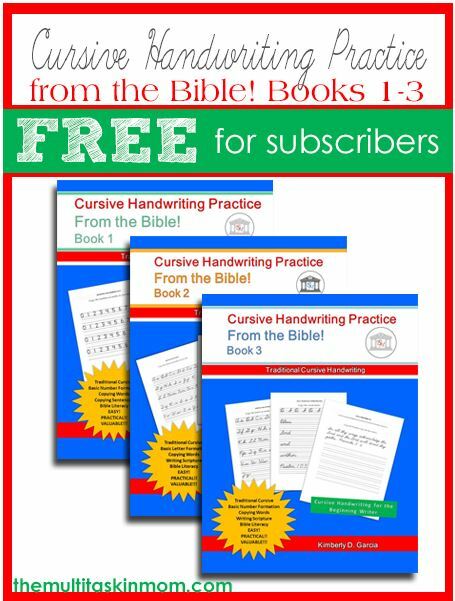 The Multi Taskin’ Mom is offering Cursive Handwriting from The Bible, Book 1-3 for FREE. This is a great resource for the kids to learn their cursive meaningful handwriting exercises. The bundle is from Brookdale House Publishing and and the download expires 1/18, so be sure and check it out. To get your bundled copies of Cursive Handwriting Practice you must sign up as a subscriber for The Multi Taskin’ Mom and Brookdale House Publishing.